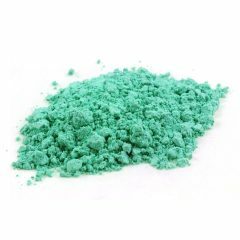 Malachite, or mountain green, is thought to be the oldest green pigment. In his painter’s handbook, the Italian artist Cennini referred to the naturally occurring copper pigment as verde azzuro. Until the arrival of oil paint, painters used it in tempera paints and frescoes.